Just released on YouTube: video of Drew Berry’s awesome Virus one billion times installation, created for Melbourne’s White Night. 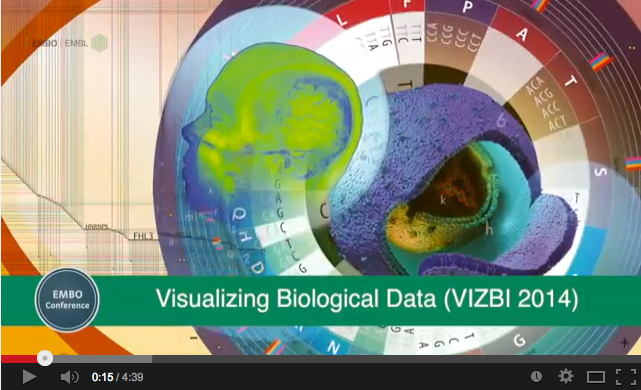 Drew gave a short talk on this work at VIZBI 2014. Today at the VizbiPlus premiere event in Melbourne, three stunning new animations were officially launched. 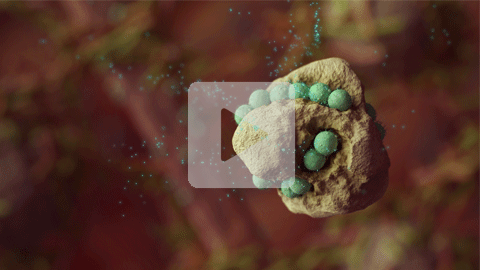 Each animation deals with an important topic in human health, namely: type 2 diabetes, cancer, and the link between diet, the gut microbiome and health. 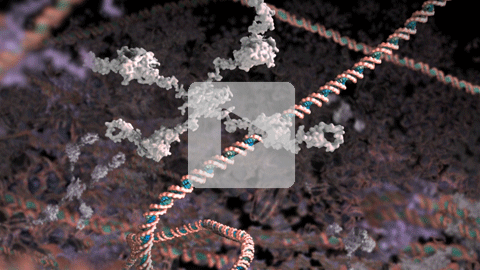 These are the first of six animations planned as part of the VizbiPlus project, which aims to inspire and educate the public about cutting-edge biomedical research. 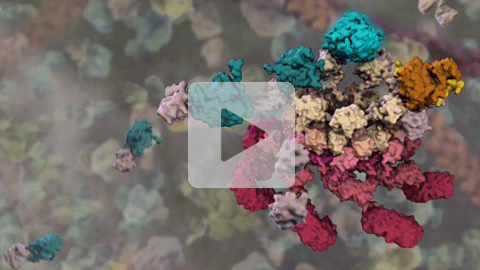 EMBL has released an interesting 4-minute video about VIZBI featuring interviews with various speakers, organizers, and participants. 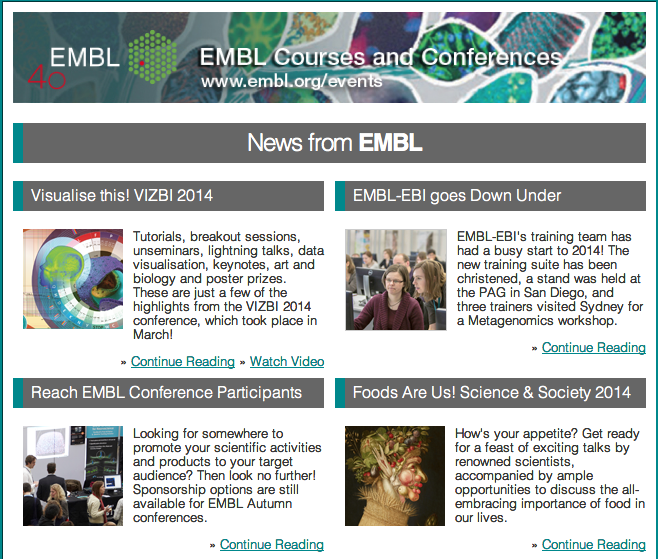 The EMBL Events E-Newsletter has published an informative summary article about VIZBI 2014 entitled VIZBI 2014 – biological data visualization, music and the non-linear genome! 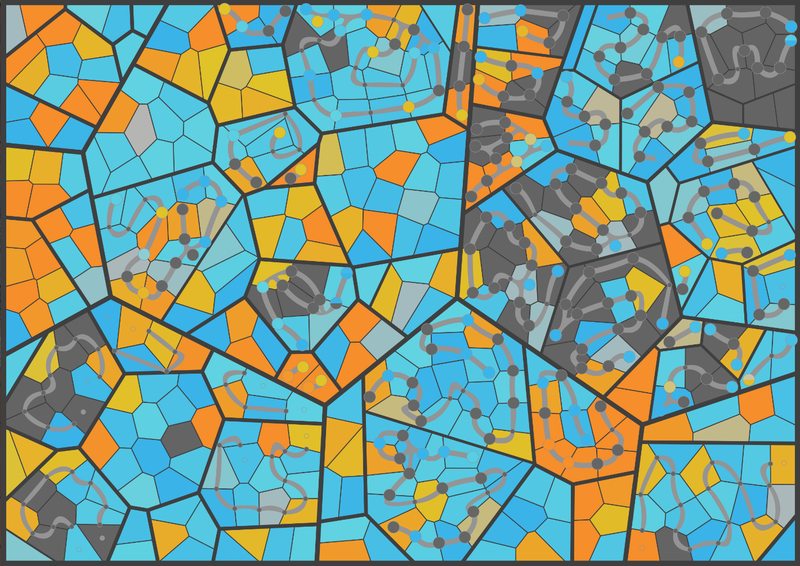 Julia Schüler’s engaging image ‘MetabolicPathTreemap’ was runner-up in the Art & Biology category, receiving second place based on popular vote by VIZBI 2014 participants. To recognise this work, NVIDIA have very generously agreed to sponsor an additional Quadro K5000 video card that Julia will receive – congratulations Julia! 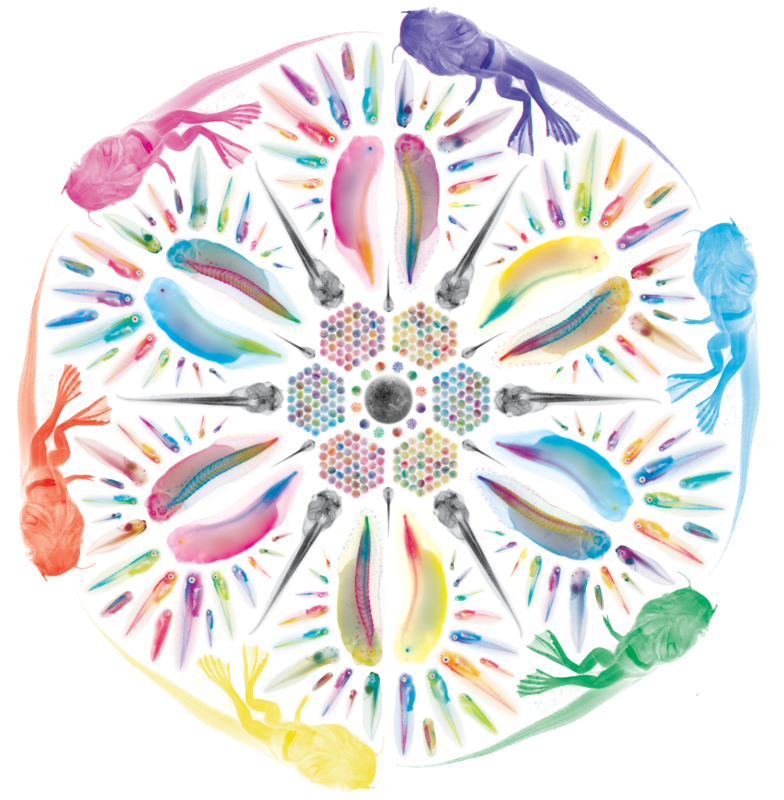 Nick Love beautiful’s image ‘Transgenic Xenopus Mandala’ has won the Autodesk Award for Best Art & Biology Poster, based on popular vote by VIZBI 2014 participants. Congratulations to Nick, who will receive a free license for Autodesk Maya. 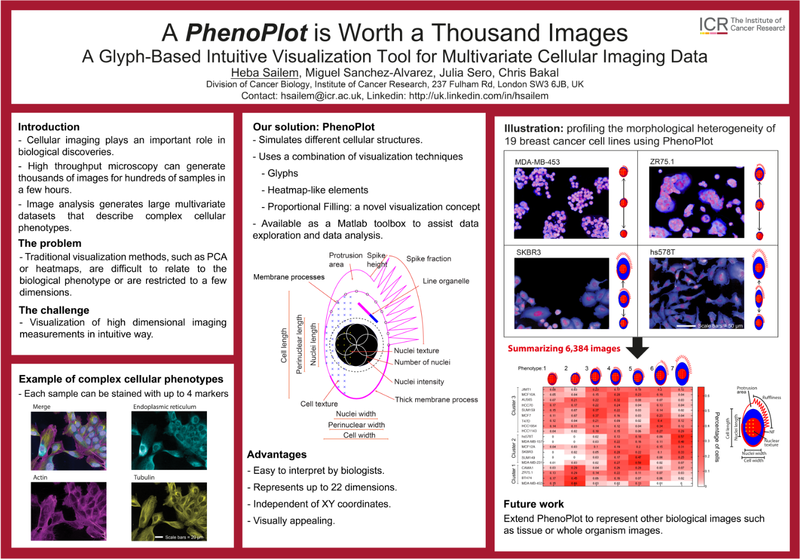 Heba Sailem’s innovative work ‘PhenoPlot: a Glyph-based Visualization Tool For High Dimensional Cellular Imaging Data’ won the NVIDIA Best Scientific Poster Award for VIZBI 2014, based on popular vote by VIZBI 2014 participants. Congratulations to Heba, who will receive a Quadro K5000 video card.